This cute 3-dimensional dolphin charm is a fun addition to charm jewelry of all kinds. With a body of purple and white enamel and a beautiful sparkly pink flower, this CHARM IT! 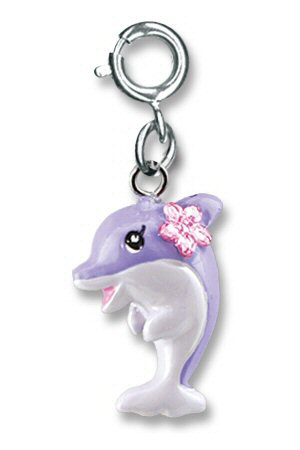 Purple Dolphin charm will delight the CHARM IT! girl in your life. With a simple snap of a clasp, girls can personalize their CHARM IT! jewelry with this adorable CHARM IT! purple dolphin charm.